Gastric problems are commonly found conditions in almost every individual. It may include a few elements like abdominal bloating, belching, flatulence, and intestinal gas. It may be embarrassing sometimes as well. There are a few precautions that can be taken to reduce the problem, including avoiding consumption of fatty food and gas-producing items, avoiding smoking, reducing your intake of carbonated drinks and beer, regular exercise, and eating slowly. Read on to discover more about these useful home remedies. In the digestive tract, (i.e. in your small intestine, large intestine and stomach), gas is generated by swallowing air and the normal breakdown of certain undigested foods by harmless bacteria that are naturally present in the large intestine (colon). One can experience this problem a number of times even in the same day. A statistics by NIH (National Institute of Health) shows that most people produce digestive gas about 14 times in 24 hours. The normal source that causes this problem is swallowing air and eating fatty foods. Gas problems may lead to bloating, belching, flatulence, and other gastric problems. 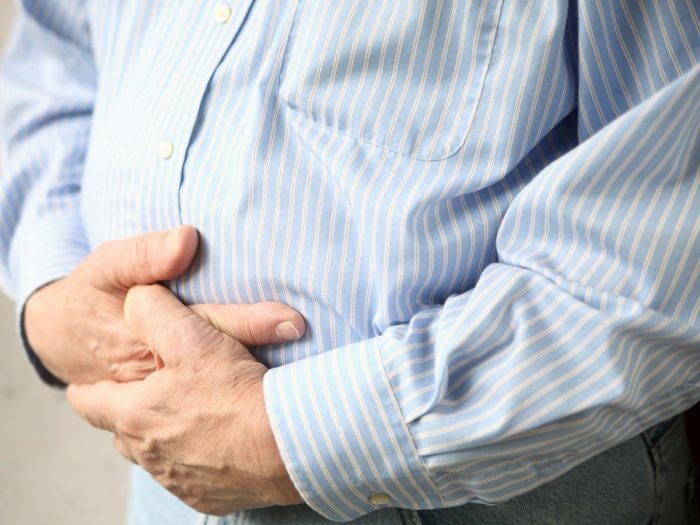 Gastric problems are considered natural, but sometimes it makes you feel uncomfortable and embarrassed. Therefore, the question arises, how can we avoid this potentially embarrassing situation? Maintaining a proper diet and regular exercise does more than make you healthy. This also helps in reducing the problems like farting and bloating. Avoiding foods that contains fat, such as broccoli, baked beans, cabbage, carbonated drinks, cauliflower, and hard candy is necessary to relieve this problem. Gastric problems may also lead to stress or anxiety, gastrointestinal infection or blockage, and stomach pain. Curing or preventing the problem takes time, but it can be reduced to a great extent by following simple home-based remedies. You must avoid the food that affects your intestines the most. This includes items like broccoli, cabbage, onions, beans, peas, and carbonated drinks. If dairy products are a problem, try low-lactose or lactose-free varieties. Regular exercise and evening walks help in reducing the problem. Exercise keeps our body fit and helps in maintaining our abdominal system at a healthy, balanced level. Smoking increases the chances of belching in our body, because it is formed by an excess of air. Smoking results in swallowing air, thus causing belching. Therefore, to get rid of this problem, you need to quit smoking. The rapid intake of food can often result in digestive problems. Your digestive system needs time to digest the food that can not be done if you eat too quickly. Chewing your food is a must and can help in reducing gastric problems. Basically, those who eat fast should slow down in order to take care of their intestinal problem. Fiber aids digestion, but many high-fiber foods are also great gas producers. After a break, slowly add fiber back to your diet. Add products such as Beano to high-fiber foods to help reduce the amount of gas that they produce. When you’re ready to begin incorporating fiber into your diet again, work slowly by choosing small portions of whole, high-fiber foods. Fiber is an important nutrient and should be an essential part of any healthy diet, but if you’re prone to gas and bloating, you must gradually increase your tolerance. Once your body becomes acclimated to its presence, fiber boasts a number of health benefits, from helping to cleanse the colon to helping maintaining feelings of fullness to prevent overeating. Changing your diet to reduce the discomfort of gas may help you to a certain extent. Most doctors suggest changing your diet, along with consumption of various medicines and it has proved to be a successful tactic. Problems of bloating, belching, and excess gas can be reduced by following the above steps. If you are still unable to get rid of your gas, it is better to consult a doctor because small problems may sometime lead to bigger ones if not treated in a timely manner. Consultation with doctors is also advised if you do not feel any kind of improvement in your intestinal or gastric problems. Average rating 4.3 out of 5.0 based on 58 user(s).